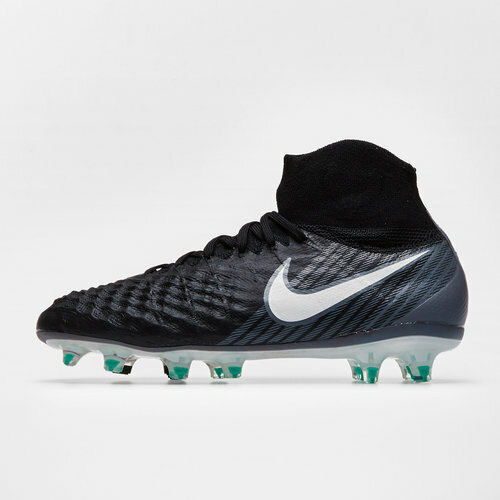 These boots designed for kids, will amplify playmaking ability and they'll pull the strings when wearing these Nike Magista Obra II Kids FG Football Boots in Black, White, Cool Grey and Stadium Green. 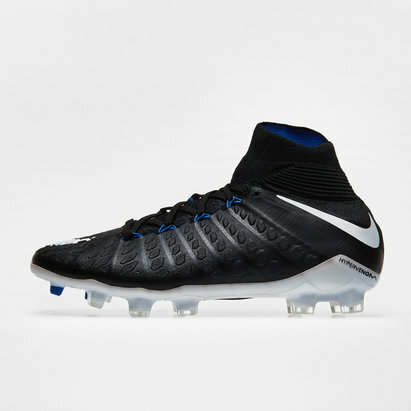 Fresh from the Nike Pitch Dark Pack and forming part of the Magista collection, these top quality boots have been designed for players at the elite level and delivers high-performance game after game. NikeSkin and ACC (All Conditions Control) create durability and all-weather grip that ensures the ball sticks to your feet when dribbling. A rotational zone in the forefoot is ideal for quick turns and agile playmaking and like its predecessors, come with a snug socklike all-in-one fit. The Magista Obra II includes the innovative Nike Dynamic Fit collar which is not only comfortable but provides support and protection to the wearer's ankle. Flywire cabling in the boot ensures mid-foot stability and a lockdown fit, ideal for pacy manoeuvres.